Dr. Rosemary Gillespie is the Schlinger Chair in Systematics and a Professor in the Department of Environmental Science, Policy, and Management at the University of California at Berkeley, as well as the Director of the Essig Museum of Entomology. She received her PhD in Behavioral Ecology from the University of Tennessee at Knoxville. She then completed a postdoctoral fellowship at the University of Hawaii. Rosemary has received numerous awards and accolades in her career, and she has been named a Fellow in Royal Entomological Society and Trustee and Fellow of the California Academy of Sciences, and also received the Presidential Award for Excellence in Science, mathematics and engineering mentoring, the Notable Woman Award from the University of Tennessee. She also currently serves as the President of the International Biogeographical Society and was previously the President of the American Arachnological Society. Rosemary is with us today to tell us about her journey through life and science. Rosemary was born and educated in Scotland, receiving her B.Sc. in Zoology from Edinburgh University in 1980. She came to the U.S. to conduct graduate work on the behavioral ecology of spiders at the University of Tennessee. After her PhD she spent several months at the University of South in Tennessee, and then started work at the University of Hawaii in 1987, initially as a postdoc, and then in 1992 as Assistant Professor in Zoology and Researcher in the Hawaiian Evolutionary Biology program. It was in Hawaii that Gillespie discovered an adaptive radiation of Tetragnatha spiders and refocused her research on diversification of spiders. 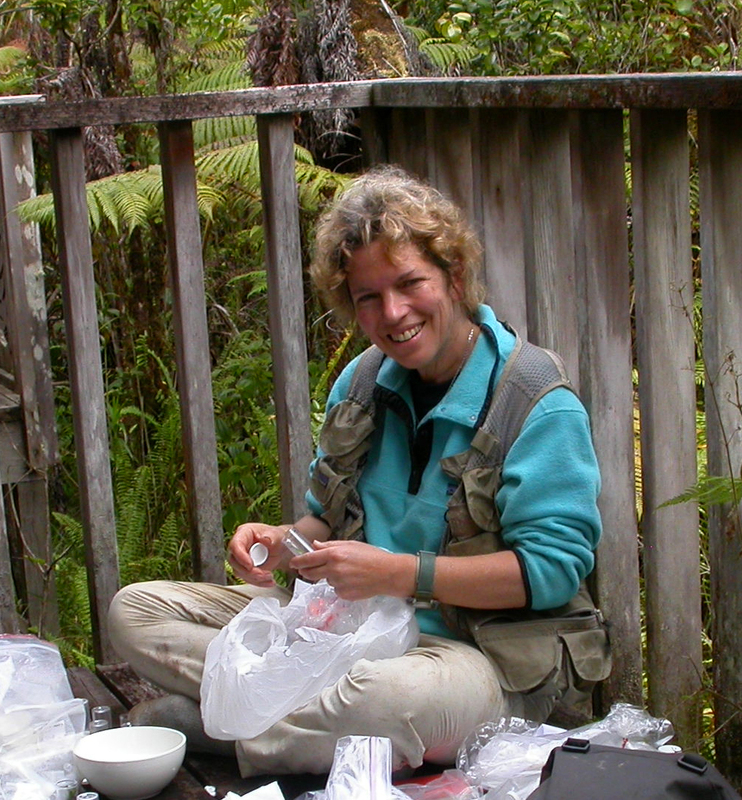 She joined the faculty at the University of California in Berkeley in 1999, where she continues her research focus on the islands of the Pacific, which serve as microcosms for studying how biodiversity forms and goes extinct. Her research has expanded geographically to include the islands of southern Oceania and the Indian Ocean. She is married to George Roderick, who studies invasive insects, and has two boys, Will and Mel who are now in college.